The wait is finally over! 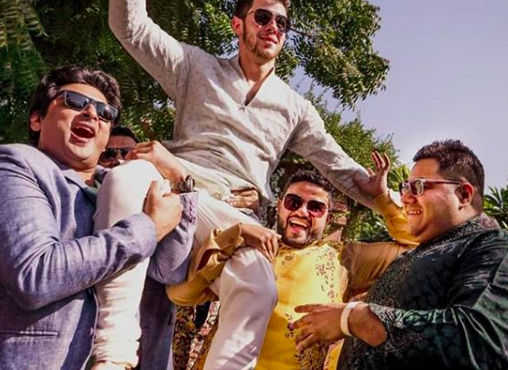 The Indian superstar Priyanka Chopra and the American music sensation Nick Jonas finally tied the knot yesterday at the Umaid Bhavan Palace in Jodhpur, on December 1st, in the presence of their families, friends, and guest. 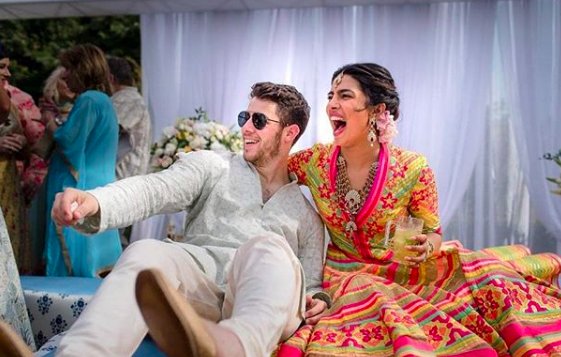 The couple, fondly called NickYanka, were married in the Christian tradition officiated by Nick’s father Keven Paul Jonas and the duo is all set to follow the Hindu wedding ceremony on December 2nd. The four-day gala started with a traditional Sangeet, followed by the Mehendi ceremony which marked the onset of the wedding rituals. Here’s a sneak peek at some significant moments of the big fat Indo-American wedding, captured on social media! 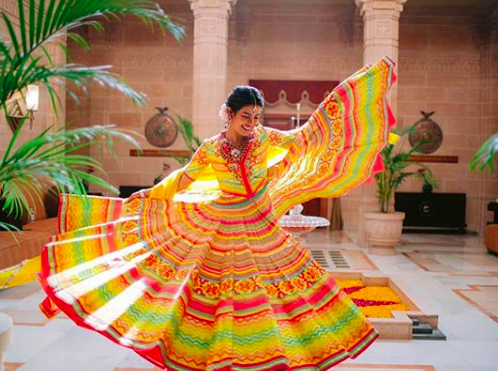 Priyanka took on a colourful ensemble by Abu Jani and Sandeep Khosla, while the groom was bright as a day in a classic white Kurta. She looked like a true happy princess, dancing away in the pink and lime green lehenga. 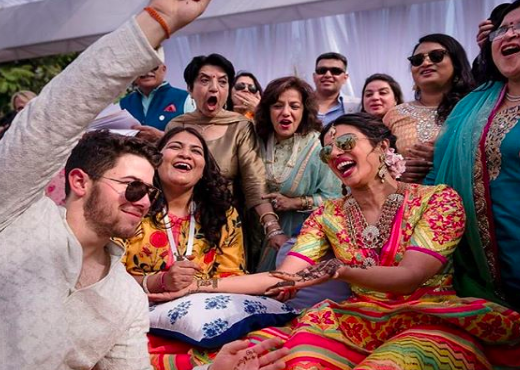 Nick joined the bride-to-be in the Mehendi ritual by sporting the art on his palms. 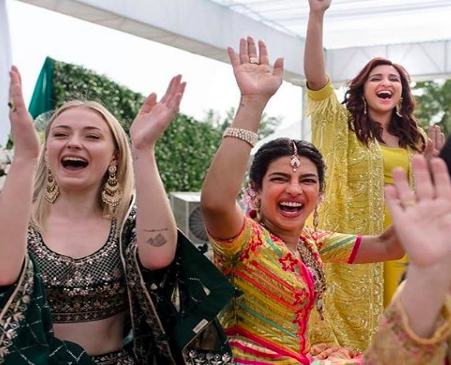 Parineeti Chopra, Sophie Turner, among other friends and family members were all a part of the merriment. As per North Indian wedding traditions, the groom-to-be was rejoiced by the bride’s family. 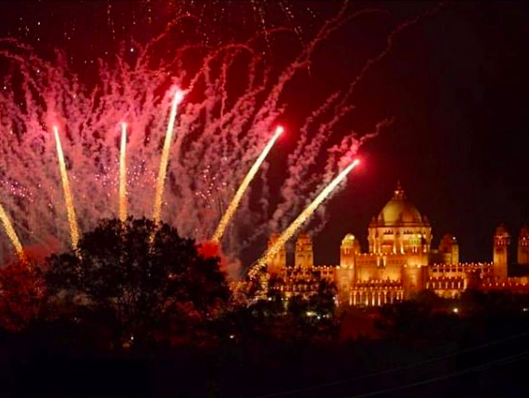 During their Christian wedding, the royal palace lit up in the most stunning fireworks display and lighting. We can’t wait for the couple to share their joy with the world and embark into a happy ever after!